North Korea remains a mystery. Il Hyun Cho, assistant professor in the Department of Government and Law and the Asian Studies Program at Lafayette College, details popular myths about this rogue nation. 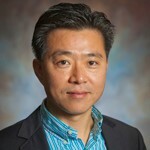 Il Hyun Cho is an assistant professor in the Department of Government and Law and the Asian Studies Program at Lafayette College. His research and teaching interests include international relations theory, global governance, security studies, nuclear proliferation, energy politics, environmental politics, Chinese foreign policy, and East Asian politics. He is the author of Global Rogues and Regional Orders: The Multidimensional Challenge of North Korea and Iran, published by Oxford University Press in 2016. There are several misguided assumptions about North Korea. The first one is that the Kim Jong Un government is a crazy, unpredictable regime eager to strike its neighbors and the U.S. with its missiles and nuclear weapons. But just like previous governments, the Kim Jong Un regime is also fixated on regime survival. While the Kim regime is defiant and dangerous, it is not suicidal. Its provocative action is a calculated gamble to consolidate its domestic rule, maximize its diplomatic leverage and divide regional countries, not an overture to actual attack on the U.S. or its allies in Asia. Another misconception is that China, as North Korea’s main ally, holds the key to resolving the crisis. To be sure, Chinese leaders are frustrated about Pyongyang as well, but they would never endorse any moves that could cause regime collapse in North Korea. Beijing clearly prefers a managed status quo to military strikes that may lead to armed conflict, refugee crisis, or negative impact on its economic development plan in the northeastern provinces near North Korea. This leaves the United States as the only viable actor in defusing the crisis. A widespread assumption here is that only U.S. pressure or military strikes would resolve the crisis. But sanctions have been largely ineffective, and any military options could spark a major war with unacceptable costs. It is important to realize that in the past the United States has made two successful deals with North Korea: First during the 1994 nuclear crisis and again in 2000 over missile testing. Negotiation this time around would be much harder given Pyongyang’s greater nuclear and missile capabilities. But it is a far better option than unsustainable status quo or unbearable consequences.